I have previously written about how I feel rap is the perfect example of the concept of remixing, taking existing material and using it to create something else. With the upsets that happened in the Rap categories in the Grammy’s, I have decided to dedicate a series of posts to the evolution of rap and its current state. This series will consist of three blog posts going from the origins/early days of rap, the introduction of rap to the mainstream, and where rap is today. Like every form of art, rap’s role in society and its subject matter has changed over the years and gone through different stages along with its contemporary society. The origins of rap come from hip-hop which began its inception during the 1970’s in New York as people experimented with both technology and new styles. 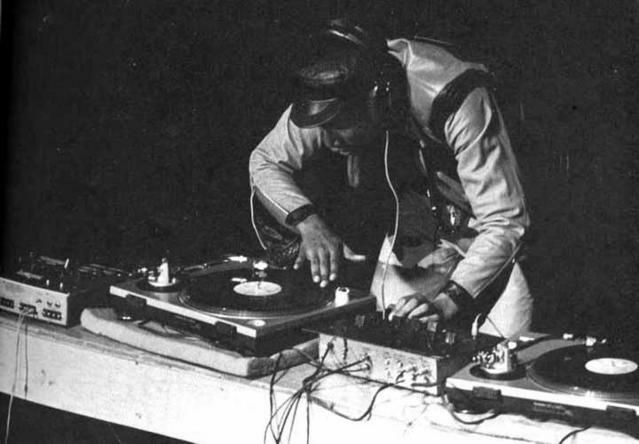 The basis of hip-hop came from samples from soul, funk, and disco music as DJ’s began to use the percussive beats from songs and looping them with new sound systems, like turntables. MC’s, or emcees, would incorporate rhythmic vocals much like spoken poetry along with the beats and eventually rhymes were added in an effort to differentiate from other people. Different styles and delivery methods developed as people would gather around in blocks and rap aloud to each other. The first hip-hop recording would come in 1979 from The Sugar Hill Gang using the beat from Chic.’s Good Times in the hip-hop classic Rapper’s Delight. The 1980’s wouldn’t just bring a new wave of music across America, but it would also introduce new elements to hip-hop/rap and bringing it more to the public eye. The early 1980’s brought a new wave of elements like electronic sounds and more effects to recordings of hip-hop/rap. Lyrics were full of boasting about how great one was at spitting rhymes and it also became a new medium for expression for many artists. Artists like Grandmaster Flash and the Furious Five and Kurtis Blow early on started to use these new sounds and styles to enhance their records. New recording and sampling technology would help artists create their records and add piece together everything more efficiently than before. With these devices becoming more accessible, many groups emerged to try and make it big and in reality few did, this can be seen in the success of the group Run-DMC. This group formed in Queens, New York in 1981, becoming of the most influential groups in history as they would influence all other acts to come. They also demonstrated the importance of a healthy relationship between MC’s and DJ’s, helping each other to create the best work possible. One of the group’s greatest records was the perfect blend between rock and rap as they sampled Aerosmith’s Walk This Way to create their own version of the song. This song really represented what rap was about at the time, it was mainly seen as music for African Americans, and creating a song with Aerosmith, mainly popular with White America, would bring rap more to public eye as more than just music popular in the African American community. 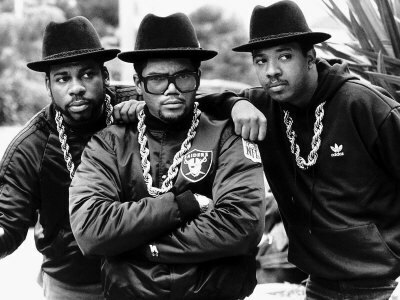 The success of Run-DMC would give them the first Grammy nomination every by a rap group and would influence other artists like LL Cool J and The Beastie Boys. Before becoming an actor in detective shows, LL Cool J used to be the quintessential suave ladies man of hip-hop during the 1980’s, in fact his name stands for Ladies Love Cool James. When most people think of LL Cool J they think of muscles and a boom box, and LL Cool J got his start in the mid 80’s and would later make one of his most iconic songs in the 1990’s Mama Said Knock You Out. On the other hand, The Beastie Boys formed in the early 80’s as a punk rock group but later influenced by rappers at the time decided to rap while using rock beats and samples. They found success in across the demographics of those who enjoy rock and those who enjoyed rap with their debut album Licensed to Ill. This album would give them some of their greatest singles like No Sleep Til Brooklyn, Fight for your Right, and Brass Monkey. This kind of rap would eventually give rise to a new stage or genre of rap, a kind that was more politically active, with groups like Public Enemy. 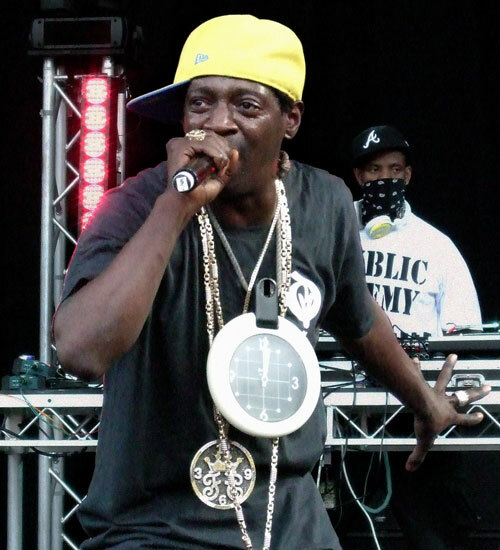 Public Enemy is most famous for, aside from their hype man Flava Flav, their politically charged and influenced music which was a response for their feeling of oppression and misrepresentation of minorities in urban areas. Songs like Fight the Power and Can’t Truss It were songs against the Man and to bring the struggles of minorities to the forefront. These songs would have a huge influence over rap for decades to come as it would inspire rappers to talk about the struggles of the streets and inner city life. It would have direct influence over groups like N.W.A. and other groups which would define the next era of rap that would go through the 1990’s, Gangsta Rap.